Firmoo $30 Voucher Giveaway - Be Glossy In and Out! Spring has arrived! You may like to color your spring with some new stuff. That`s why I believe it`s time for a new giveaway from Firmoo. 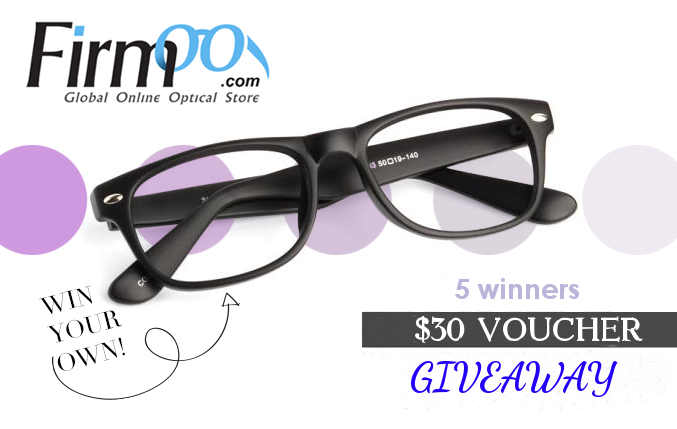 PRIZE: There will be 5 winners and each of them will get a Firmoo $30 voucher to spend on their store. (Shipping is excluded). You can choose your favorite pair of glasses from here. But still you can check the countries where they ship over here!!! This Giveaway is open Internationally and will last for 3 weeks. The winners will be chosen randomly and they will be notified via email.